You’re looking for the right dentist in Waverly who can give you the oral healthcare you need, but it looks like most providers are not in-network with your insurance plan. You could drive over an hour to see someone who’s in-network, and maybe the savings in your cost would justify the expense of time and gas money to get you there, but is really worth it? How can you be sure about the difference between in-network and out-of-network dental benefits? The team at Smiley Family Dentistry are happy to help you get the most out of you benefits and in this post, they’ll compare and contrast both options. 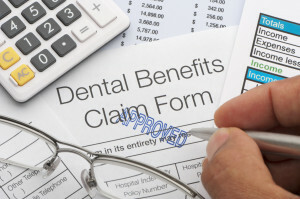 What Are In-Network Dental Benefits? In PPO dental plans, which are the most popular type of dental insurance, you have the ability to see both in-network and out-of-network providers. If you see an in-network dentist, your coverage will most likely offer more benefits to you, simply because their office has a contract with the insurance company. If you take advantage of seeing a doctor who’s struck a deal with your insurance provider, you can generally expect to receive services at a lower cost than seeing someone who’s out-of-network. The downside? In-network providers can sometimes be limited, and you may have to drive or wait for an appointment. What Are Out-Of-Network Dental Benefits? The great thing about PPO plans is that you can see virtually whoever you want and still receive coverage on services – you get the freedom to choose the dentist who’s right for you. Many insurance companies offer 100-80-50 coverage, which means your plan will pay 100% percent of the charges for preventive care like exams, X-rays, and cleanings, 80% on routine services like fillings, and 50% on more advanced services like crowns or bridges. While you may end up paying slightly more out-of-pocket than if you saw an in-network provider, you can still reap the excellent advantage of being able to choose your dentist, which means you won’t have to start over someplace new with a dentist you don’t know. What Are My Insurance Options At Smiley Family Dentistry? At our practice, we pride ourselves on making dental care affordable for all of our patients. We accept virtually every insurance plan on the market and are always happy to submit claims for you. We’re glad to answer your questions about your benefits, and we can even call to verify your coverage and provide you with an estimate of what your costs will be. Now that you know the difference between in-network and out-of-network dental benefits, schedule your appointment with Smiley Family Dentistry and put your insurance to work for you and your smile!